Do you ever sneak a peek at the TSA screens while waiting for your carry-on to go through security? Some items are easy to pick out—a phone, a set of keys, a laptop. With the benefit of your 'X-ray vision,' you may also see impossible-to-identify, unexpected, even embarrassing items. Unfortunately, association professionals who lead business departments—membership, marketing, meetings, etc.—don’t have the benefit of X-ray vision when it comes to technology issues. That’s a shame, because business departments drive technology projects and 'own' technology systems (whether they know it or not). Are you in charge of one such business department? A little technology knowledge (or X-ray vision) can help you discern which issues you should prioritize to get the most out of your mission-critical systems and achieve your business goals. This insight will also help you identify the questions you need to ask to prepare for unexpected technology challenges. 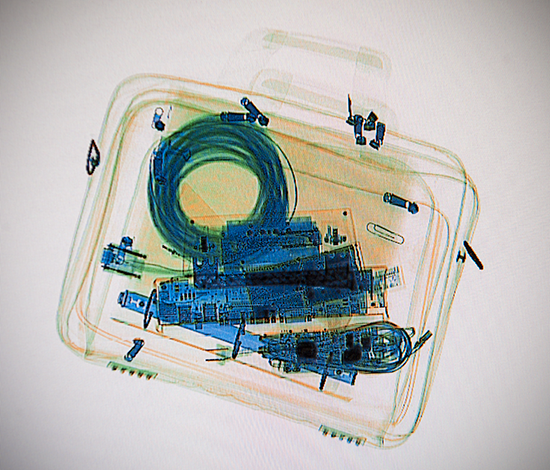 Because you can’t see the unknown or unwelcome issues lurking in your department’s IT bag, this post will provide a bit of X-ray vision into the people, policies, talents, and tools you need to use technology effectively. In this post, I’m focusing on the association management systems (AMS), but your association or nonprofit relies upon a number of systems, which are likely owned by different people and departments. Read along with your own IT bag, systems, and software in mind. We’ve all been there: stuck in a long airport security line because there aren’t enough TSA personnel manning the different screening stations and performing the necessary roles. If your carry-on is pulled for a bag check, you’re in for a long wait if only one person is doing the job. This will maximize how effectively your department uses technology like your AMS. For your team to be successful, each person needs to know what’s expected of them. The department head—as the leader of the team who owns a technology platform or process—must be confident that all team members understand their roles and the accompanying responsibilities. A RACI matrix helps team members understand the activities and decisions for which they are Responsible, Accountable, Consulted, and Informed. Let’s look at some of the roles related to an AMS team and the questions you should be asking yourself, your team, and/or your leadership. Remember to keep your own system in mind if you’re in charge of, say, the DMS (donor management system) rather than the AMS. AMS owner(s): The system owner is usually the person who initiated the AMS selection process. But that may not be the head of the department—sometimes the system owner reports to the department head. In some cases, system ownership is a shared responsibility, for example, between someone in the membership department and someone else in the IT department. The system owner works with the data governance team and others to establish data entry and cleansing policies and procedures, system rights and permissions, and report naming conventions. The owner also arranges for staff to get the appropriate level of system training, based on their roles. The AMS owner is often the liaison with the AMS provider and related technology vendors and consultants. Who is the business owner(s) of your association or nonprofit’s data and the applications that house it? Who defines the key business processes related to that data? Is this a shared responsibility or is it in the hands of a single individual? What circumstances have led to this arrangement? What are the responsibilities of those who own (or, more accurately, safeguard) your association or nonprofit’s data? What privacy rights must you take into consideration? What are the rules of data entry? Do you have a data style guide? What’s in it? You need SOPs in place to ensure that staff enter data correctly and consistently, as well as mechanisms to review and enforce such standards. Data governance owner(s): The data governance team establishes the rules for data collection and entry. The person leading this team ensures its members work together to examine data flows throughout the organization. The team must keep the various data elements in the most suitable place(s) so they’re readily accessible to people who need them. This involves examining what data you collect, why you do so, and how you use it to advance the organization’s aims. Who’s allowed to enter and update data? To what degree are users (members and others) able to engage in self-service, for example, using the website to update specific fields in their member records? What audit trail functionality exists, and how is it used to ensure consistency or to identify and correct errors? Staff who use data: The AMS owner must find out what information and, therefore, what queries, reports, and dashboards are needed by staff and volunteer leaders (if your organization grants such access). The system owner helps identify and refine data requirements and arranges to provide those resources—as well as the training to use them. IT team: The AMS owner works with the IT team—stewards of the data—to ensure system patches and updates are applied and integrations are functional. One last thing—and we say this all the time because it’s so important—communication is key. You must have open and frank communication between all team members (inside and outside your department) to make sure tasks related to your system are executed in alignment with business goals, policies, and procedures. This includes ongoing dialogue with your association or nonprofit’s senior team, so they understand their roles and responsibilities. When thoughtfully crafted and consistently applied, policies govern behavior so systems work as intended. For example, TSA policy prohibits passengers from carrying fire-prone (and disaster-causing) batteries in their baggage. Similarly, technology policies are designed to prevent system and data disasters. Those policies must align with your organization’s business goals. Data governance policy: Data governance provides the opportunity to ask questions about how you’re going to use the data in your care, which is more important than ever in a post–GDPR and post-California Consumer Privacy Act environment. What is your intent? What are you hoping to accomplish with your data? What questions does your association need to answer and what problems do you want to solve? What data elements do you need to do that? The stewards of your members’ data must collaborate with colleagues to make sure the answers to these questions serve the entire organization, not just one interest, i.e., your own department. Think and talk about what data elements you will keep, what you do with that data, and how you communicate with the members, donors, and others surrendering their data into your care. What’s the minimum viable data you need on a membership application or in subsequent touchpoints? What is the member/customer getting in return for their data? How is this message delivered, so they know WIIFM (what’s in it for me)? Administrator and user permissions: These rights are typically assigned by creating different levels of user roles in your AMS. You can extend or limit system access rights by assigning these roles as appropriate. Data dictionary or style guide: Good data hygiene is established and enforced by creating and adhering to a data dictionary or style guide. Sometimes, rules can be 'baked into' the software, for example, the AMS only accepts ST in the address field instead of street, st., St., or St.
Naming conventions: Avoid a chaotic and confusing list of reports by enforcing naming rules. Typically, the best and most easily enforced rules are simple, straightforward, intuitive, widely communicated, and reinforced rather than assumed. System assessment plan: It’s a good idea to revisit the continued viability of any mission-critical technology, including your AMS, on a regular basis. Your IT team should have a software review cycle in place to ensure that the organization’s technology is still meeting expectations. Because you can’t easily take advantage of software upgrades when you have customized software, avoid over-customizing your AMS, causing it to fall behind ongoing technology developments. One thing about AMS (or any software system) ownership: it’s a résumé builder. The AMS owner is often given—for good or ill—the responsibility for project management during AMS implementation, a role for which most business department staff are not adequately prepared. As the business owner of a technology system, here are some of the talents (skills) you and your department need in your IT bag. Business analysis: During system selection and beyond, someone must help users understand and articulate user needs. For example, the association’s CEO and senior staff don’t always know what they want until they see it. You need the ability to distinguish between wants and needs. This skill is critical to maintain focus and avoid costly customizations or scope changes. A good business analyst serves not only as a translator, but also as devil’s advocate, helping to build the business case for solid system requirements. Unfortunately, system owners are naturally biased—they shouldn’t be the ones identifying, prioritizing, and documenting requirements, but they should oversee this work. The best course is to hire an experienced business analyst—either a staff member with the required skills and capacity or an external consultant who is familiar with the technology, available solutions/vendors, and association operations. Team management: As the business owner of the AMS or other mission-critical system, you may not have an official leadership position in your association but you will take on an informal leadership role. You must know how to coach or train staff on the AMS, for example, encouraging them to use the system or adopt new processes, or convincing other system owners to share data or integrate with your system. There is a silver lining: by collaborating with other AMS users and system owners, you’ll accomplish a little association silo-busting along the way. Vision: Don’t get bogged down in project details. Look at the big picture and see who needs to be involved in your AMS project. Figure out how best to engage them. Tact and diplomacy: You must be a smart team player with the appropriate level of assertiveness—or your data will be a mess. You don’t want to be dictatorial about the system, but you also can’t let other departments disregard your data policies and procedures. Staying true to the process and keeping your eye on the organizational goals will help focus and align the interests of all parties involved. Data analytics: Think about the questions you want answered, and, in turn, the data you can and should collect to answer those questions. Which KPIs will you measure? Where will you find the relevant data? How will you help people interpret the data? How will you put together reports and data visualizations? How can you make dashboards not only pretty, but also useful? Security awareness: You are the party ultimately responsible for your members’ and donors’ personal data. Work closely with your IT team to ensure this data is kept safe. You don’t want to be on the bad side of a data breach. User skills: What skills are required for those who use the data? For example, by staff who create or execute queries and reports? Does your training plan effectively address these needs? The data elements in your AMS constitute one of your association’s most important tools and assets. As such, data must be housed securely—ideally in a high-performing AMS. Enforceable policies and procedures help to maintain data integrity over time. The same holds true for all your mission-critical systems: the content that lives in your CMS, the financial data in your FMS, the contact and segmentation data in your hosted email marketing solution, and so on. Although it’s tempting to do so, you really can’t start thinking about leveraging big data until you’ve mastered the data you already have in hand. Get a solid grasp on the data in your various systems, including if and how those systems share data—otherwise you’re inviting utter chaos. Once your AMS house is in order, you can think about using data visualization software such as Tableau, Microsoft Power BI, and the growing number of data analytics programs from niche players in the association market. In this post, I’ve been using the AMS to illustrate the different roles, policies, skills, and potential integrations needed to effectively manage any system. This approach to system ownership also applies—with some tweaking—to other systems used by your association. Business departments don’t have to be IT experts as long as you learn to develop your technology X-ray vision. Take the time to iron out the roles, responsibilities, policies, and processes related to the system(s) in your care. Make sure team members (or external consultants) have the skills needed to effectively manage and use your technology. By taking true ownership of your department’s technology in this way, you won’t have to worry about unexpected and unwelcome issues lurking in your IT bag.